A showcase of games powered by our DepthSense Human Tracking Library (HT-Lib) for PS4™: Just Dance® 2014, Rabbids Invasion: The Interactive TV Show®, Just Dance 2015® by Ubisoft® and Commander Cherry’s Puzzled Journey by Grandé Games. DepthSense® HT-Lib, our multi-user full-body tracking middleware, is now available to all PlayStation®4 (PS4™) developers. HT-Lib enhances the quality of the depth map and stereoscopic features provided by the PlayStation®Camera for PS4™. It has been developed with performance as the top priority. It's specifically optimized for the PS4™ GPU, to use minimal CPU, and memory resources. It delivers fast, low latency data transfer to create the best user experience on any console platform. To find out more, contact us directly at sales@softkinetic.com for more details about getting started with DepthSense HT-Lib for PS4™. Our DepthSense HT-Lib plug-in is available today for Unity 4.3 for PS4™, and gives developers access to the full range of features inside our human-tracking library. We also provide a variety of Unity samples and demos to help get you started. We created HT-Lib to handle all variety of game types and scenarios. From full-body avatar controls, to analyzing player behavior. 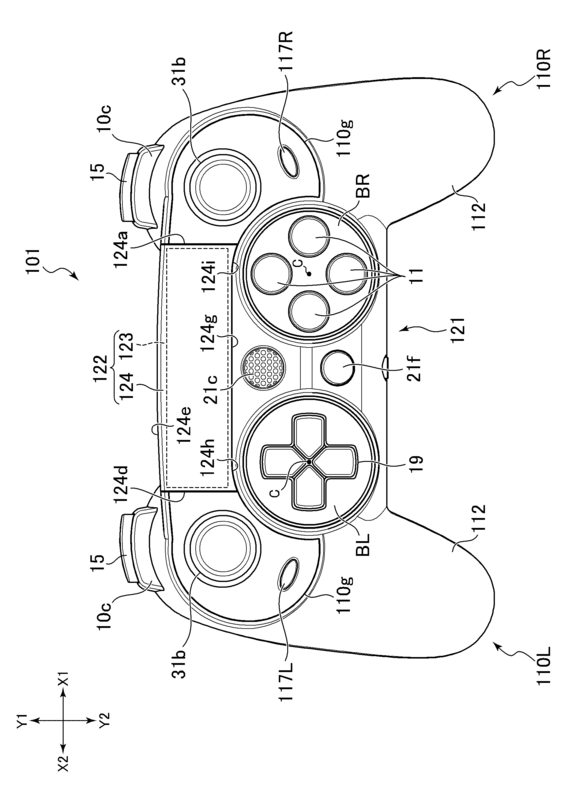 From augmenting traditional controller play, or even targeting specific body parts for control. Whatever your gaming needs, we can help make it happen. Ubisoft® chose HT-Lib to develop Just Dance® 2014 for the launch of the PS4™, and there are many more games in development for release this year. "Ubisoft worked closely with SoftKinetic to bring Just Dance 2014® to the PS4, and we are planning to use HTLib for some new titles for the PS4, including Just Dance 2015® and Rabbids Invasion: The Interactive TV Show®." "At Grandé Games we have focused on the unique potential of motion control in gaming, and SoftKinetic’s DepthSense HTLib has allowed us to extract the player silhouette in a comfortable and straight forward way in Unity 3D. We are thrilled to be able to realize our game, Commander Cherry’s Puzzled Journey, on the PS4 platform." I was wondering what the difference was between the DS4 & DS3 sensors do I dug up the Datasheets of the Accelerometers & Gyroscope sensors. DS4 has a single IMU made up of a 3 axis digital accelerometer & a 3 axis digital gyroscope. Where DS3 used individual chips, a 3 axis analog accelerometer & a vibration gyro sensor. The BMI055 is an ultra-small, 6 axis inertial sensor, consisting of: A digital, triaxial 12bit acceleration sensor and a digital, triaxial 16bit, ±2000°/s gyroscope. The BMI055 allows very low-noise measurement of angular rates and accelerations in 3 perpendicular axes and thus senses tilt, motion, shock and vibration in cellular phones, handhelds, computer peripherals, man-machine interfaces, remote and game controllers. With its ultra-small footprint of only 3 mm x 4.5 mm the BMI055 is unique in the class of low-noise inertial measurement units. On top, the BMI055 integrates a multitude of features that facilitate its use especially in the area of motion detection applications, such as device orientation measurement, gaming, HMI and menu browser control. 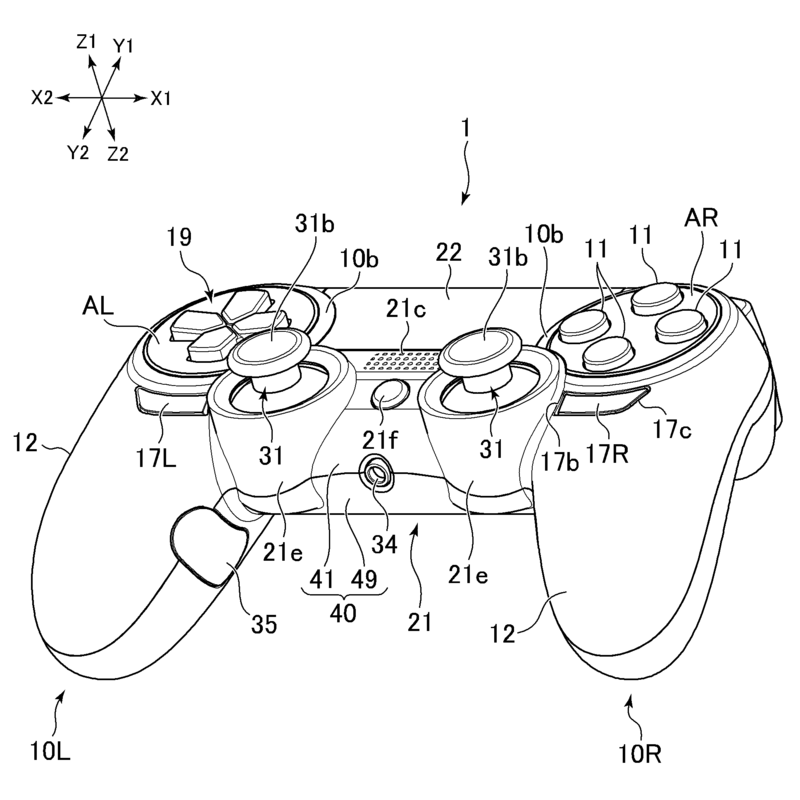 DualShock 4 patent that had buttons on the grip & buttons under the d-pad & shape buttons. 301 seems to be the DS4 that we ended up with. 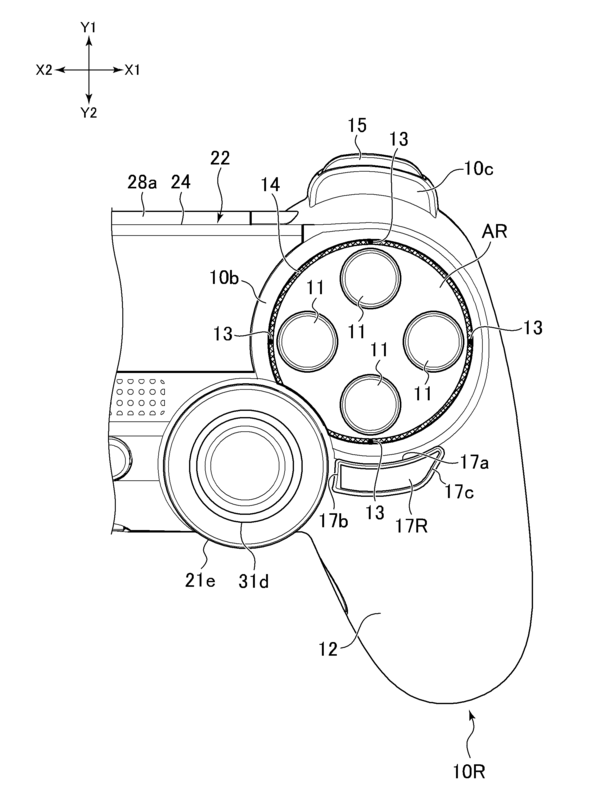 I think I know where Sony was headed with the buttons inside of the grip of the DS4 prototype. 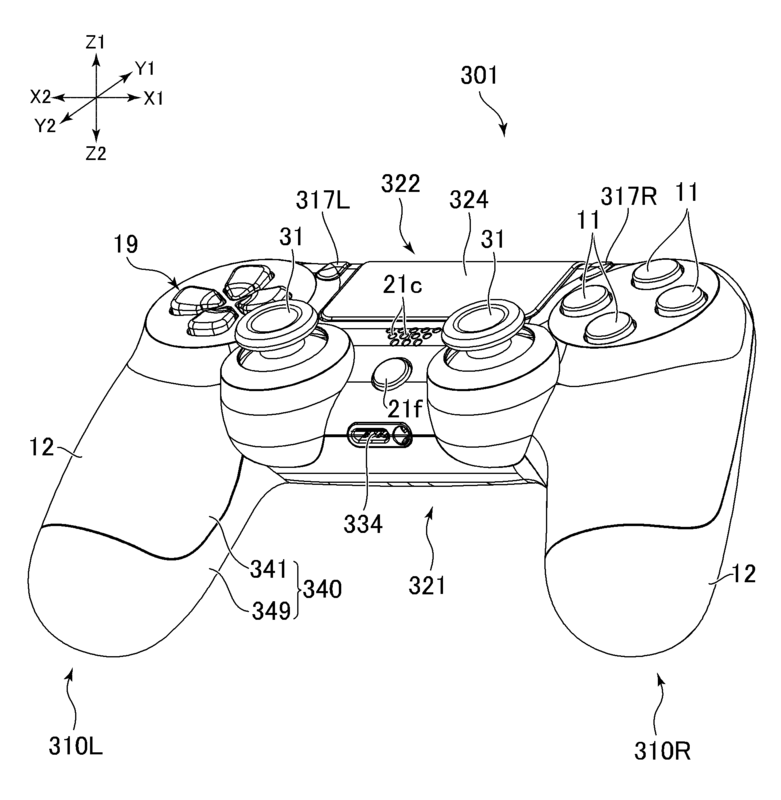 DualShock 4 Motion & Touch controls might be the straws that break the Xbox One's back. Next Gen arrived with all 3 consoles coming equipped with new next gen control interfaces as standard. But sadly Microsoft has abandoned the Kinect as a standard part of the Xbox One to achieve a lower price that would match the PS4's $399 price tag. This seems like a good choice to some who don't like anything motion control related but in the end this will really hurt the Xbox One as a platform because we are at a time when Tablets & Smartphones are the home of all types of new games thanks to their touch screens & motion sensors & some of them become big hits. Without Kinect Xbox One will miss out on these crazy little games with non standard controls because devs will think twice about making games for the Xbox One that only a few can play & even then Kinect might not have been able to do the games justice. 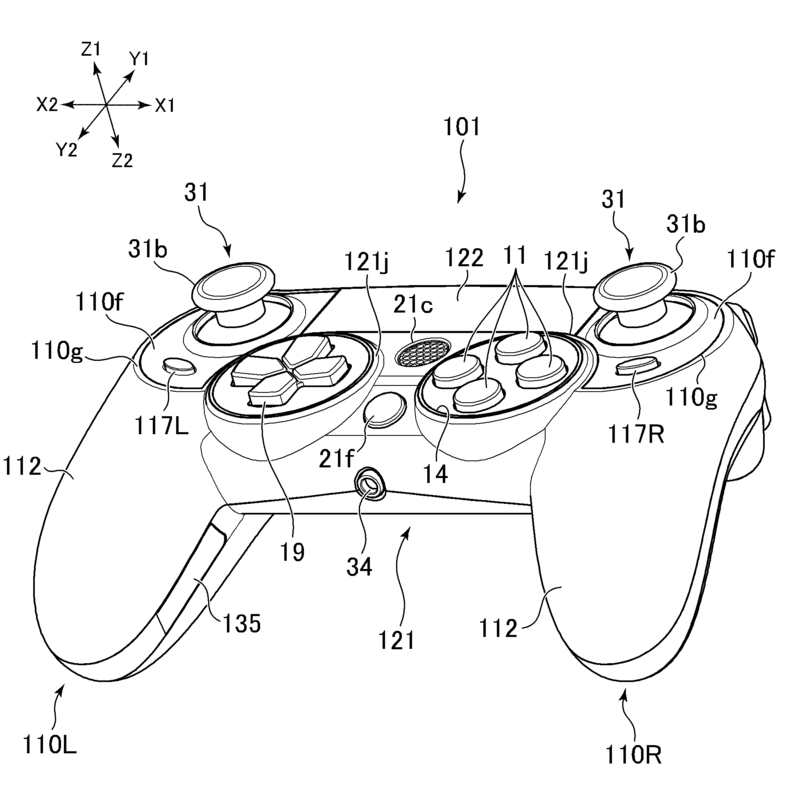 But PS4 having motion sensing & touch controls standard will be able to control these games in almost the same manner as a Tablet or Smartphone & better yet PS4 can introduce new gameplay ideas for devs to take advantage of making it a even better console to own than Xbox One even without the power advantage that it already has over the Xbox One. Only time will tell but PS4 could be the Wii / NDS of this generation once devs start to making good use of it's non-standard controller.